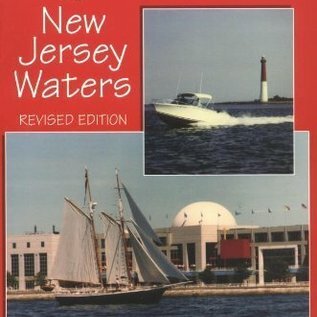 A Cruising Guide to New Jersey Waters Donald Launer (Author) Revised 256 pages, 6 x 9 paperback, May 2004. With this book in hand, boaters can cruise down the Jersey Shore--from New York Harbor to Delaware Bay--in the good company of Captain Donald Launer. 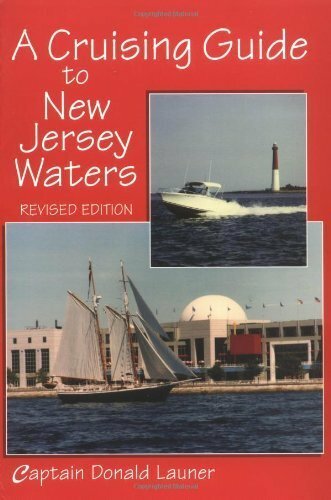 Captain Launer brings many years of experience as a skipper of small boats to this engaging nautical and historical guide to New Jersey's tidal waters. Cruise with him from the New Jersey/New York state line near the mouth of the Hudson River, past Raritan Bay and Sandy Hook, and into the Manasquan Inlet. From there, he gives you a choice of voyages: the inside route through the Intracoastal Waterway to Toms River, Barnegat Bay, Atlantic City, and Cape May, or taking the offshore passage. Then you explore the Delaware Bay and its tributaries and cruise up the Delaware River to Trenton. This revised edition contains updated information about onshore facilities, marinas, restaurants, stores, sites of interest, docking fees, bridge heights, maritime service stations, weather, navigation, and safety, as well as post-September 11 regulations in the waters around New York City. The book also includes a wealth of photographs and sea charts. Donald Launer, who holds a U.S. Coast Guard captain's license, has explored the New Jersey waters in every kind of small craft since he first sailed in Barnegat Bay at the age of eight. His articles on recreational boating have appeared in Good Old Boat Magazine, Cruising World, The Beachcomber, Offshore, and Sail. He berths his schooner, Delphinus, in Forked River, New Jersey.